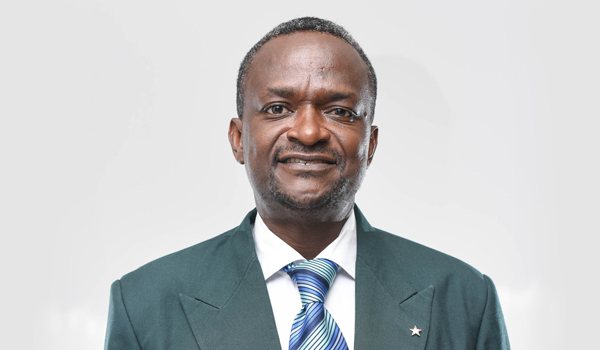 Charles Andoh (PhD, Technische Universitaet Kaiserslautern, Germany) teaches undergraduate and graduate level courses in insurance and risk management at the University of Ghana Business School (UGBS) and the head of Department of Finance. He holds a Bsc. Mathematics from the Kwame Nkrumah University of Science Technology and Msc. degrees in Mathematics and Financial Mathematics from respectively the Norwegian University of Science and Technology and the University of Kaiserslautern, Germany. Charles’ research interests are in the areas of risk evaluation in investment decisions, stochastic volatility modelling, financial time series analysis, artificial intelligence and its application in finance. He also has research interest in product pricing including rail, air and toll charges on highways and the mitigation of loss exposures by individuals and businesses through insurance. He believes that many business problems can be modelled and it is the responsibility of managers to seek scientific approach to decisions and problems that arise in their organizations. A number of his published works can be found in journals such as Neural Computation, Annals of Management Science, Pertanika, Journal of Financial Crime, Decisions among others. He presents his works both locally and at international conferences. He has consulted for the World Bank and was a visiting scholar at the Sloan School of Management in Cambridge, Massachusetts. Dr. Andoh worked as a Scientific Assistant at the Technische Universitaet Kaiserslautern for several years, taught at GIMPA and lectured statistics courses at the Department of Statistics of the University of Ghana. He reviews for journals, serve on boards and committees mostly at the University of Ghana.